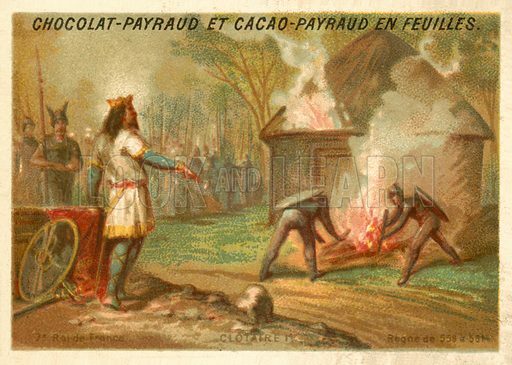 Chlothar I, King of the Franks, burning to death his rebel son Chram and his family, 561. French educational card, late 19th or early 20th century. Available worldwide for immediate download up to 4,743 x 3,374 pixels.